It’s time to fill in the gap in this blog. I visited beaches 24 -28, Eleanor to Flat Rock, in late summer/early autumn of 2013. These were to prove the dying days of my marriage. At the time I hadn’t realised that cowardice and silence were eating cancerously at our relationship – his fear of saying what was going on in his heart and mind, my fear of asking. It all seems kind of obvious now, as these things do. It’s taken me a while to get to the place where I can work with these words and photos – and it may yet take me a while to get them all up. Number 24, Eleanor, however was all but ready and just waiting to be posted … so here she is, enjoy. Although it’d been planned for a week I wasn’t sure I was up for the journey to Eleanor – the morning was grey, the distance great and I was in an utter post-holiday funk. We’d been back from our time in Korea, Japan and China for a couple of weeks and I was staring down a long-road of sameness which felt like it stretched before me forever. I’d been planning the holiday for months, then we were in it – busily discovering something new every day, moving from place to place. But then suddenly we were back in Sydney and … now what? It was that kind of a day. 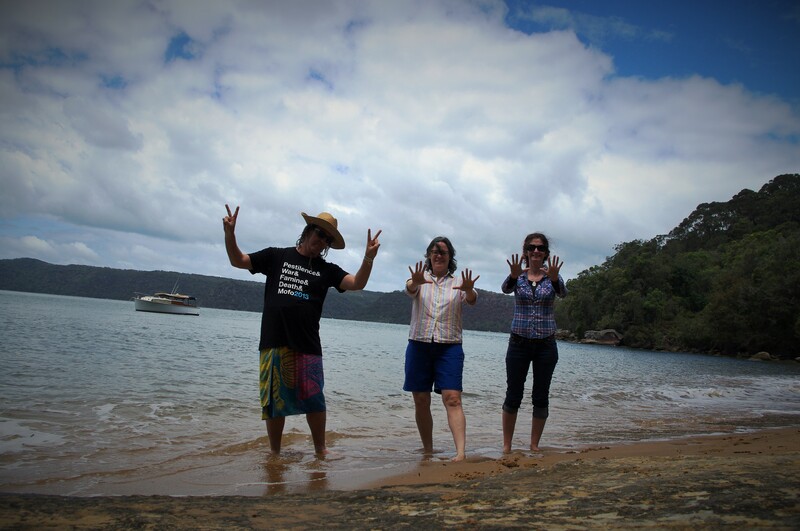 I was torn between my desire to sulk at home wrapped in my blanket of blue and fulfilling our commitment to Jim and Ev to go boating with them and visit one of the most remote of Sydney’s beaches, Eleanor. Thankfully the latter won out. Eleanor is a stretch of about 150 or 200 metres of sandstone-coloured beach backed by National Park bush which slopes upward to a ridge-line. 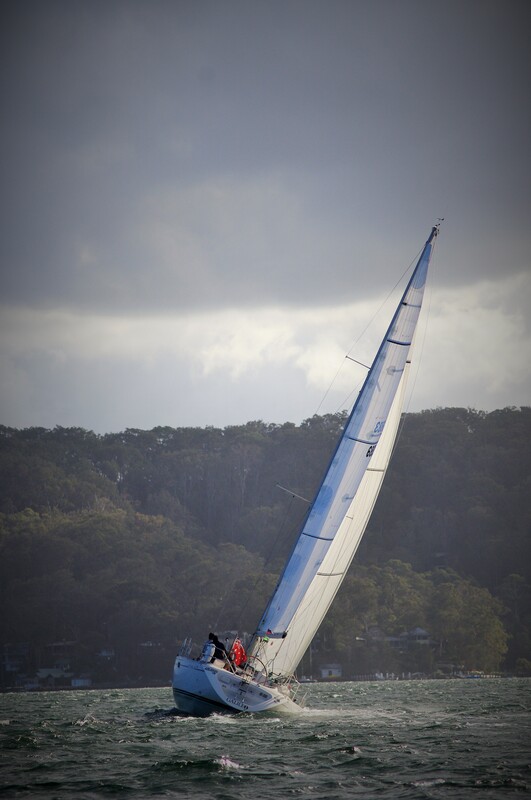 It’s on the Pittwater south-east of Brooklyn. 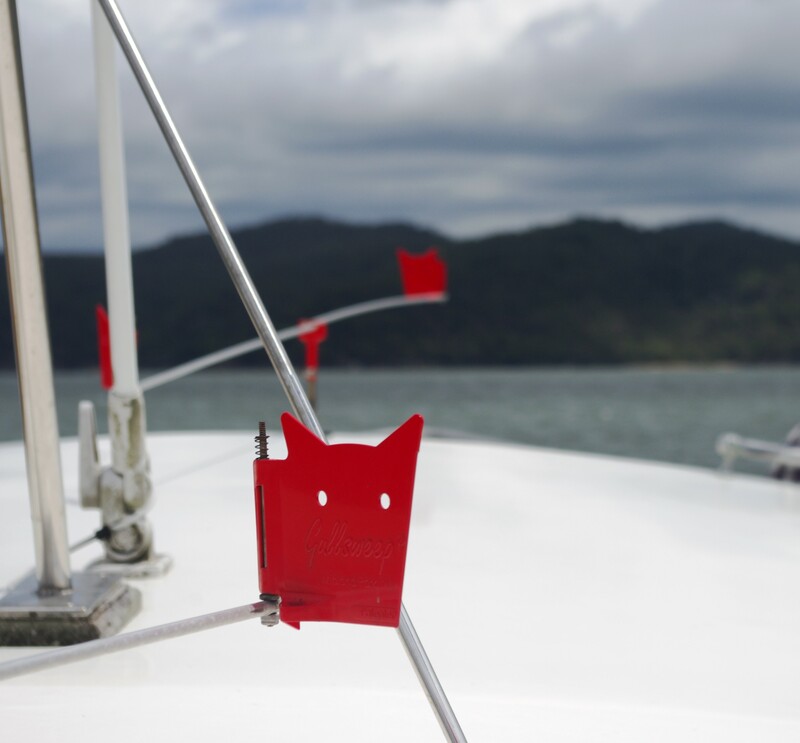 As we motored toward the beach, consulting maps and nautical charts to make sure we were arriving in the right spot, I knew I’d made the right choice to come out. Per Google maps it’s about 55.5 kilometres (34.5 miles) from our place to Brooklyn which is where the road ends and the bush begins. Eleanor has to be approached from the water. Gullsweep – to keep the birds at bay. The ying of this project is learning to enjoy the busy beaches, like Bondi, and the yang is putting in the effort to get to beaches nearly no one else ever visits because they are so remote and difficult to get to – of which Eleanor is like the poster-beach. It’s a beautiful, quiet place with driftwood and seaweed, shells and wallaby tracks. 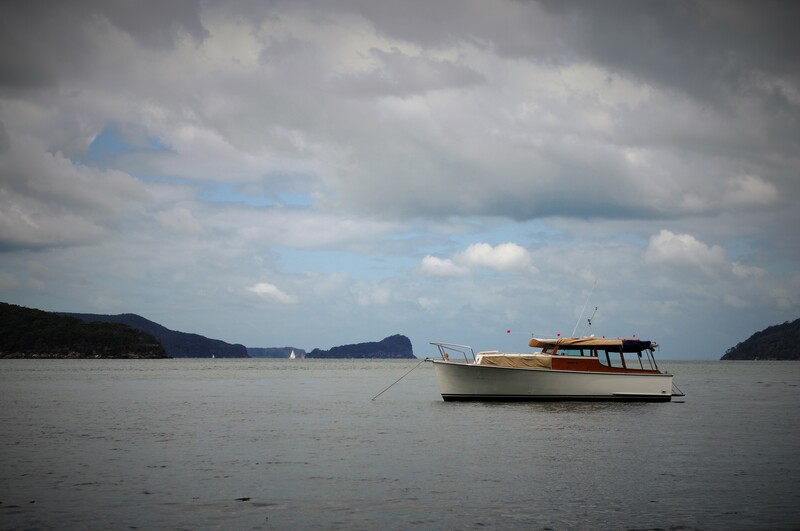 Gentle waves of the Pittwater lap at our toes as we look out on a classic Sydney vista – boats plying the Sunday calm of late summer, green and softly rounded bush on every shore, jutting cliffs of sandstone, and in the distance the imposing prominence of Lion Island. Having spent some time exploring the beach we returned to the Robyn for a picnic lunch, a tipple, and, for me, a bit of lie down. On the return to port we motored though the criss-crossing path of a beautiful big sailing boat tacking its way home in the golden late afternoon light. The trip had cleared a few of the funky cobwebs from my soul. Eleanor Beach is in Ku-ring-gai Chase National Park, one of the several which more or less encircle Sydney-proper. The park was created in 1894, making it Australia’s second oldest National Park after Royal. 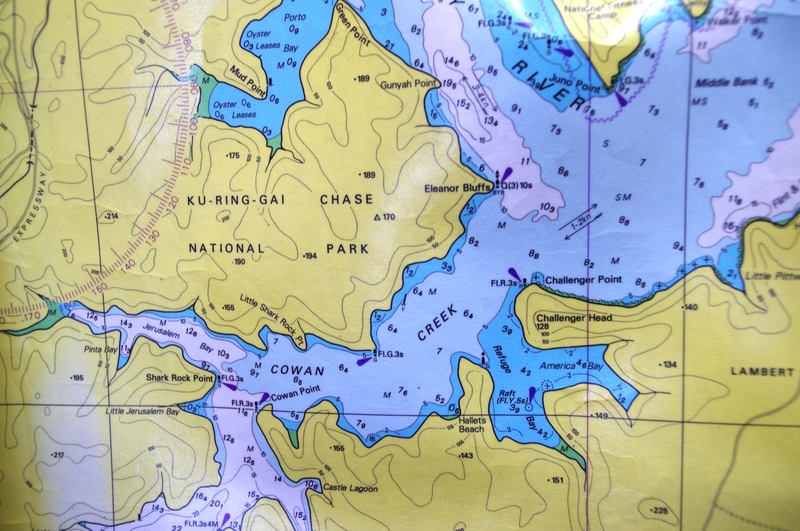 In 2006 Ku-ring-gai was added to the National Heritage List. The park’s creation can largely be credited to the efforts of Eccleston du Faur – a surveyor amongst other things. He helped found the Geographical Society of New South Wales. He was himself something of an explorer as well as a financier of othes. Du Faur was also an original member of the NSW Academy of Art and established artist camps in the Blue Mountains.